Highlands, NJ – The American Littoral Society has filed a lawsuit against the Borough of Deal, NJ to protect public access to the beach. 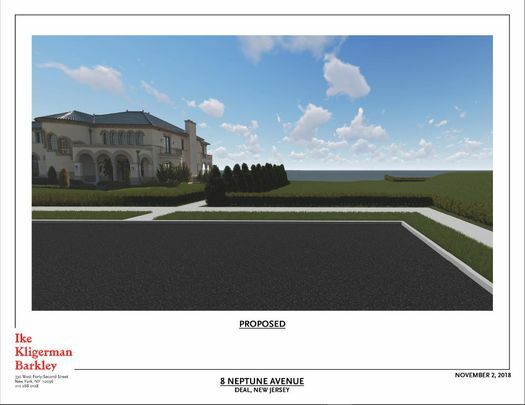 The Borough recently took action to sell a street end, Neptune Avenue, to a waterfront developer for $1 million. Neptune Avenue is used by the general public, fishermen and surfers to access the beach for recreational uses. For many years, Neptune Avenue has been used by beachgoers to access the adjacent beach. Fishermen, surfers and other members of the public have regularly parked on the easterly end of the street. The street end is included as a beach access point on the New Jersey Department of Environmental Protection’s New Jersey Public Access locations website. “In the 1850s, our courts recognized the value of street ends in providing the public access to the shore. It is important to fight this new notion that street ends—which are not typically owned by municipalities—can be vacated for the right price,” said Andrew Provence of Litwin & Provence law firm, legal counsel to the American Littoral Society. The Littoral Society is challenging Deal’s actions to sell the street end to a waterfront developer, ICC Neptune Avenue, LLC for $1 million dollars. The company intends to develop the property. “We are filing this lawsuit because Deal’s action creates a dangerous precedent that will encourage municipalities to vacate street ends needed by the public for public access to the beach for monetary consideration” Dillingham stated. The Littoral Society’s lawsuit seeks to overturn the vacation of the street end and invalidate its sale to the private developer. Surfrider Foundation: Jersey Shore Chapter supports this lawsuit and seeks to protect beach access up and down the New Jersey coast. We have been fighting beach access issues in Deal for decades, and are proud to stand with American Littoral Society on this issue.